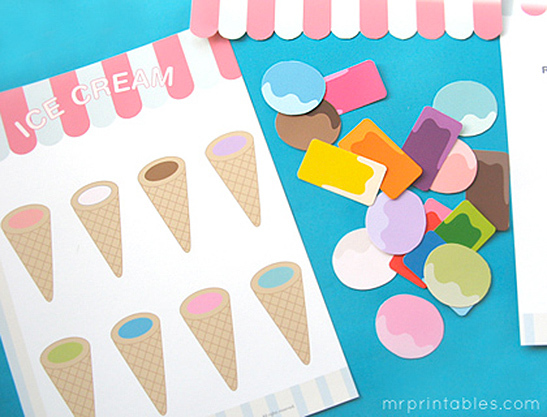 This sweet Ice Cream stall game was our very first free printable file folder games (with only the best Italian Ice Creams!). 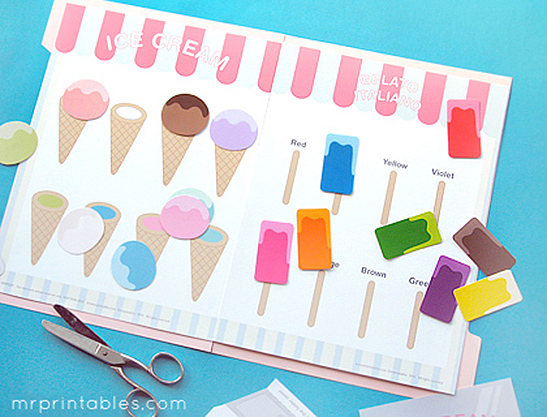 Learn colors with the colorful cut out scoops and ice lollies that need to be matched with the correct cone or stick, both through word recognition and color matching. There is even a sweet ice cream pocket accessory where the cut out scoops and lollies can be stored. 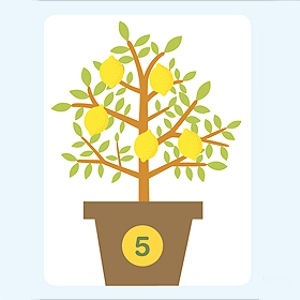 You can also play the game in reverse by putting all of the ice lollies in the correct positions and then guessing the colors, then revealing the correct answer below. In fact we hope that you invent your own ways to play with our games, by customizing and decorating them however you like. Think of this one as your very own ice cream stall! Match the colors of the Ice cream scoops with the colors inside the cone. Match the ice lollies with the stick of the correct color name. Learn colors & color names! Cut out the scoops and lollies on page 3 with scissors. Cut out the pieces on page 4 to label and decorate the cover of the folder. Make the storage pocket as shown or store the cut out pieces together safely in a bag or envelope. Cut the sticky part of Post-it (or any removable label) and glue the non-sticky side to the back of each cut out ice pieces. The children can then stick and re-position the pieces over and over again. You can stick them all together (like a Post-it pad) to store more easily. 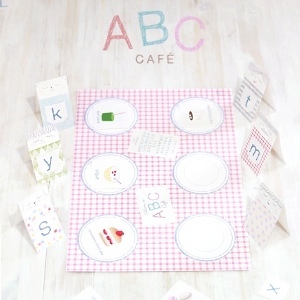 Try printing the scoops and lollies on heavier paper for durability. 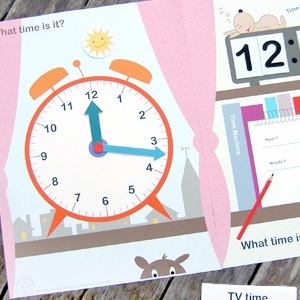 If you enjoyed these printable file folder games, please check back later – we’ll update new ones soon!